We have dozens of exhibit galleries, activities, daily talks and hands-on demonstrations. Step back to the earliest days of the fishery in the museum’s newest exhibit “First Fishers.” Get your sea-legs on the banks schooner Theresa E. Connor and talk with "old salts" who fished the North Atlantic. Help with the launching of a schooner model and feel the thrill of watching a vessel slide down the ways. Spend a bit of time hooking a mat or quilting, in the Life in Fishing Communities exhibit. The Ice House Theatre shows films throughout the day. 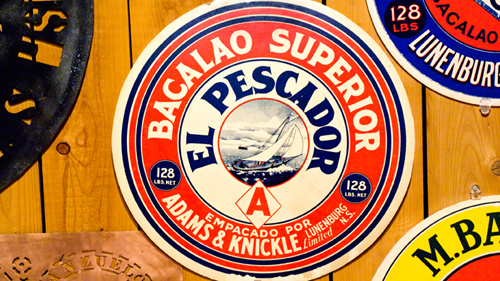 In the 1920s fresh fish were packaged with labels identifying the fishing firms from whence they came. This was the beginning of the development of “product loyalty”, as consumers began to trust particular brand-names.